Anna and Grandma are planning a surprise for Dad's birthday. 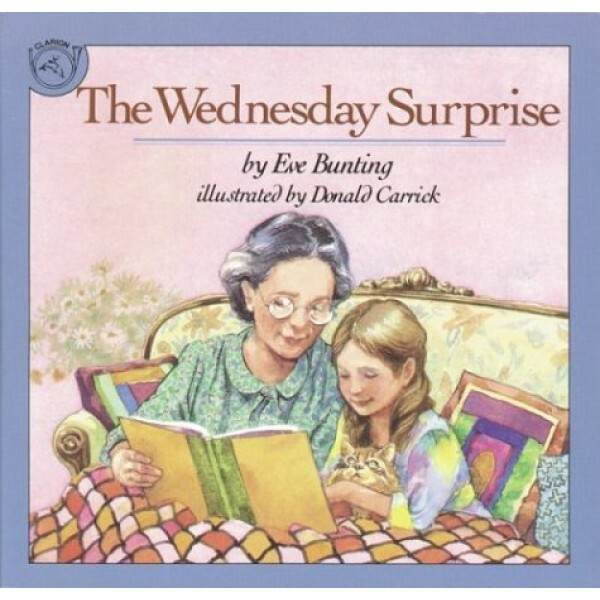 Dad thinks he has received all his presents, but Grandma stands up and gives him the best one of all: she reads aloud the stories that Anna has taught her. For more Mighty Girl stories about the special love between grandparents and granddaughters, visit our Grandparents section.